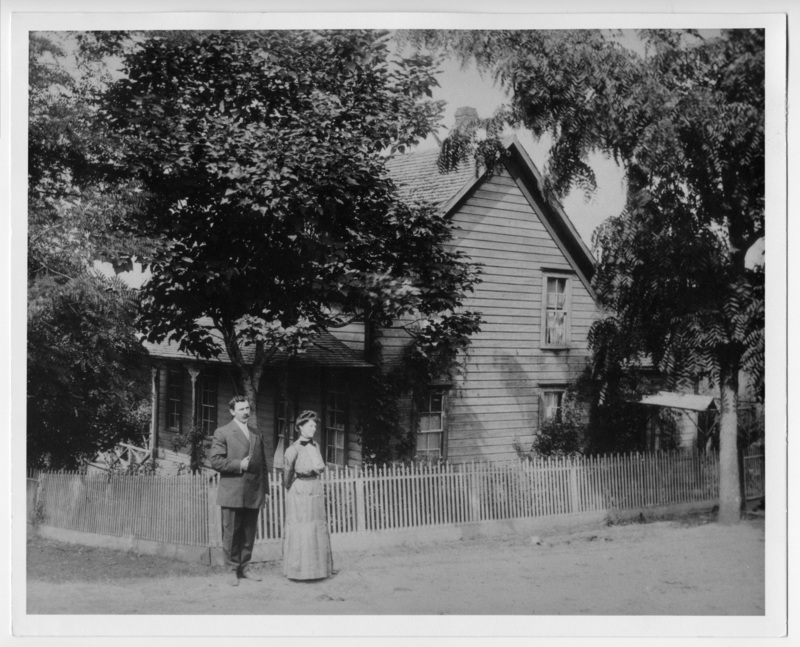 Mr. & Mrs. Samuel Cox (Agnes Nelson Cox) in front of their home on Ash St., Oswego, OR. (have neg). Ca 1910. [typed label]: Mr. and Mrs. Samuel Cox - ca. 1910, in front of their house on Ash St. Transcription Mr. & Mrs. Samuel Cox (Agnes Nelson Cox) in front of their home on Ash St., Oswego, OR. (have neg). Ca 1910. [typed label]: Mr. and Mrs. Samuel Cox - ca. 1910, in front of their house on Ash St.